Did you know that Spanish is the second most spoken language in the world ? Spanish is the official language of 22 countries , the second most important language diplomatically and the third most used language on the Internet. In addition, major world organizations such as the UN , UNESCO and MERCOSUR have adopted Spanish as one of the official languages. Spanish is known to be one of the fastest languages in the world. The Spanish language is in full growth. Spanish is one of the most used languages in the business world, as such, Latin America is becoming a region of vital importance for business. Speaking Spanish helps to deepen the knowledge of Latin culture by promoting a deeper understanding of its culture and history. Several works of the modern era were created by artists of Spanish origin, such as Miguel Cervantes' famous book Don Quijote, Mexican films Guillerme del Toro and Spanish director Pedro Almodôvar. There are a multitude of untranslated books, events or specialized websites that have Spanish as their official language and can only be enjoyed in their entirety with the knowledge of the language. 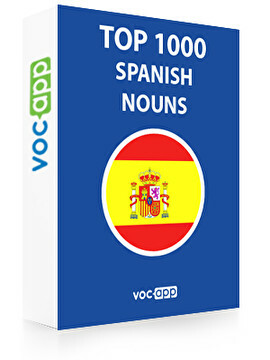 Why learn nouns in Spanish?